This is the seventh course in the 11-part series of Building a Community-Based Palliative Care Program. You can take this single course or the entire series. Once you’ve determined the palliative care needs of your community and finalized your model of care, it’s time to begin planning the infrastructure to support the ongoing delivery and quality of your services. 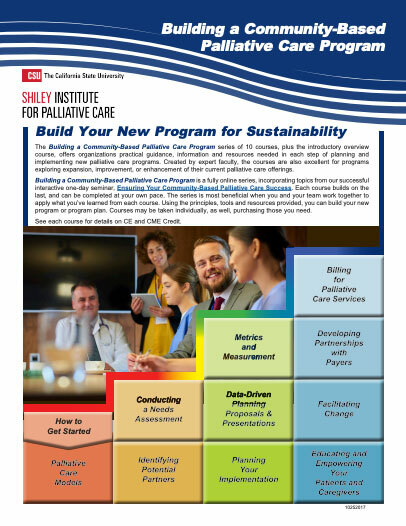 Planning for Implementation of Your Palliative Care Program helps you formulate a framework for assigning and training staff, composing operating policies and procedures, establishing up documentation processes, and communicating messages to prospective customers and referral sources. This course, written by Kate Meyers, MPP, lead author of “Up Close: A Field Guide to Community-Based Palliative Care,” presents in-depth information to guide steps that are essential in your program development process, and critical to the success of your program. The Doctors Company designates this activity for a maximum of 2.5 AMA PRA Category 1 Credits™. Physicians should claim only the credit commensurate with the extent of their participation in the activity. Once the decision to launch a community-based palliative care program is made, numerous systems and processes must be put into place to ensure that the program’s goals can be met. Planning for Implementation guides the learner through the essential infrastructure elements, providing information, examples, resources and templates to help you build a solid foundation for your program. Name core elements of palliative care Policies and Procedures and the rationale for developing these documents. What Matters to Your Audience? Kate Meyers, MPP is a health care consultant who has managed diverse initiatives aimed at improving health care quality, with a focus on improving organizations’ capacity to deliver care that is aligned with patient preferences and values. She has managed several large palliative care initiatives for the California Health Care Foundation (CHCF), including the Payer/Provider Partnerships initiative, which supports collaboration between payers and providers to expand access to community-based palliative care (CBPC), and the Palliative Care Action Community, a collaborative learning group focused on CBPC. 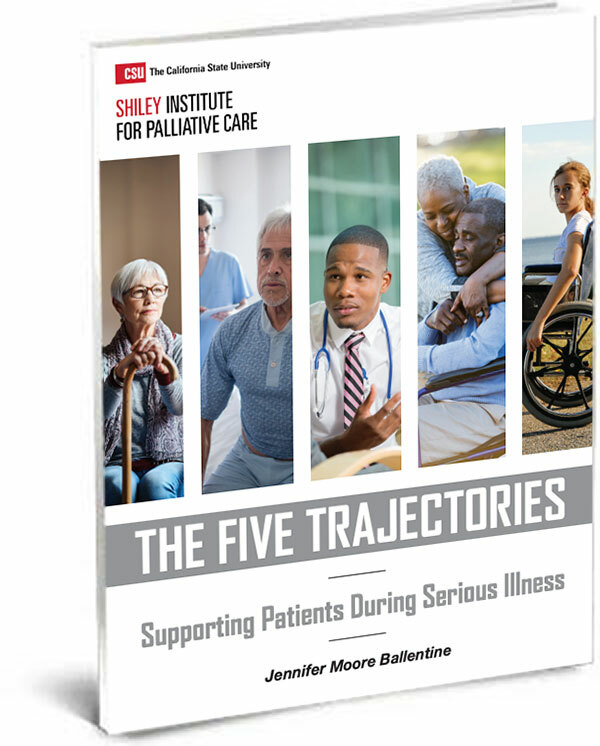 She was the lead author of “Up Close: A Field Guide to Community-Based Palliative Care,” which addresses key considerations for CBPC and examples of approaches from teams in the Palliative Care Action Community.